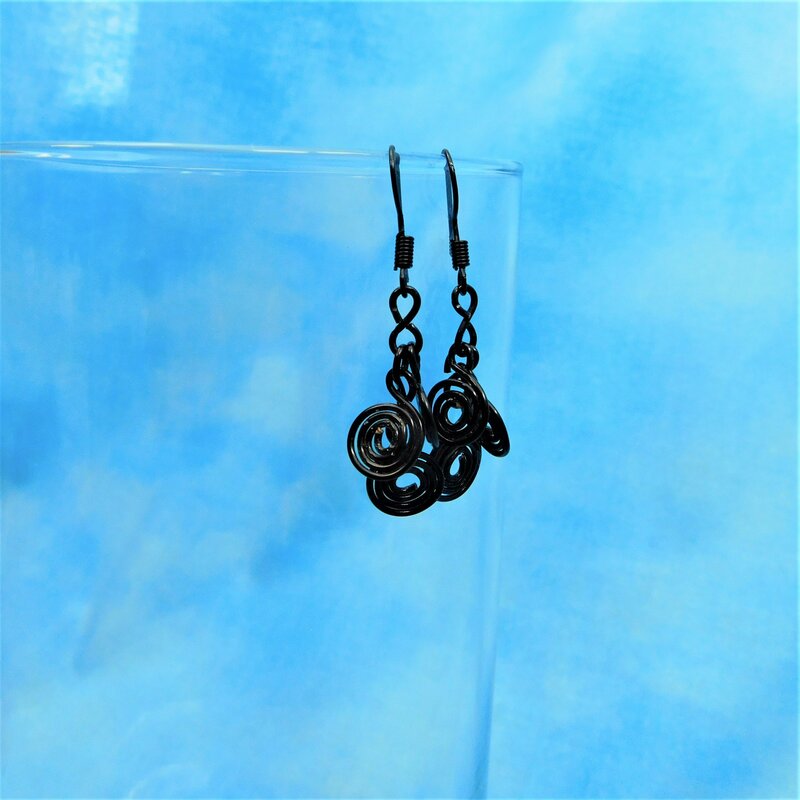 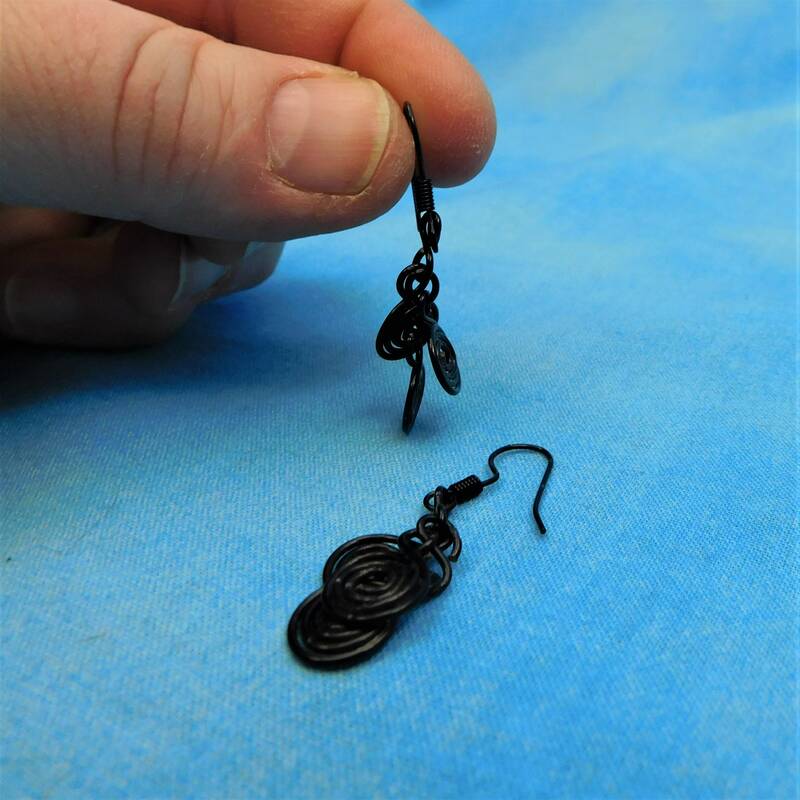 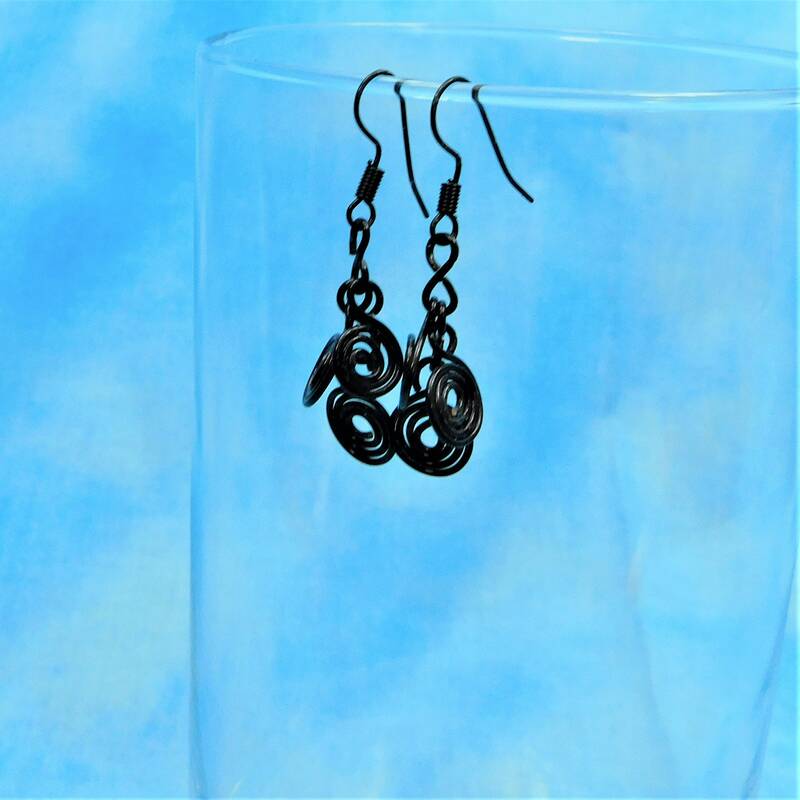 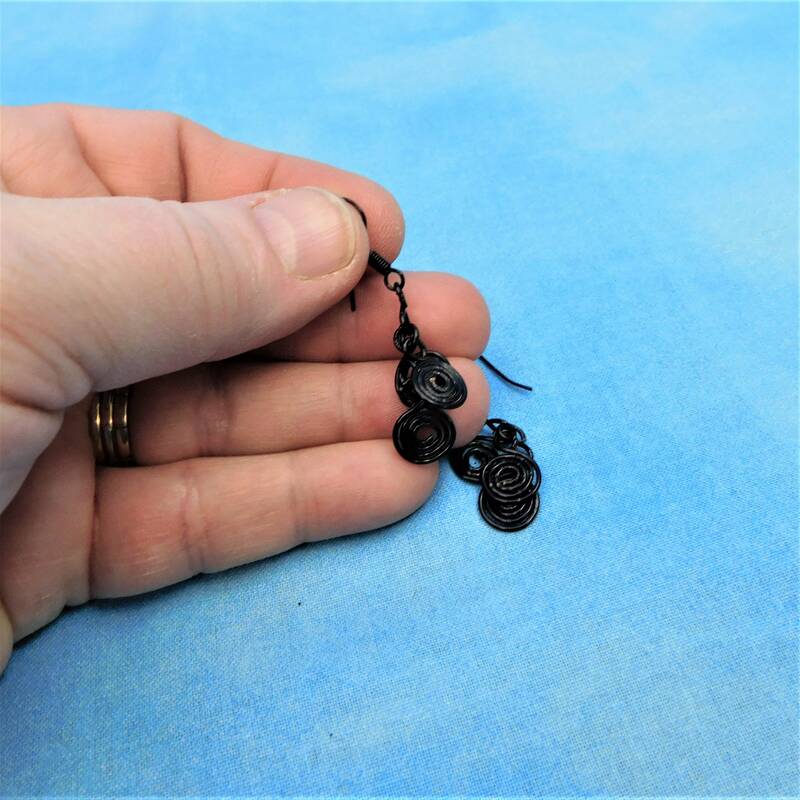 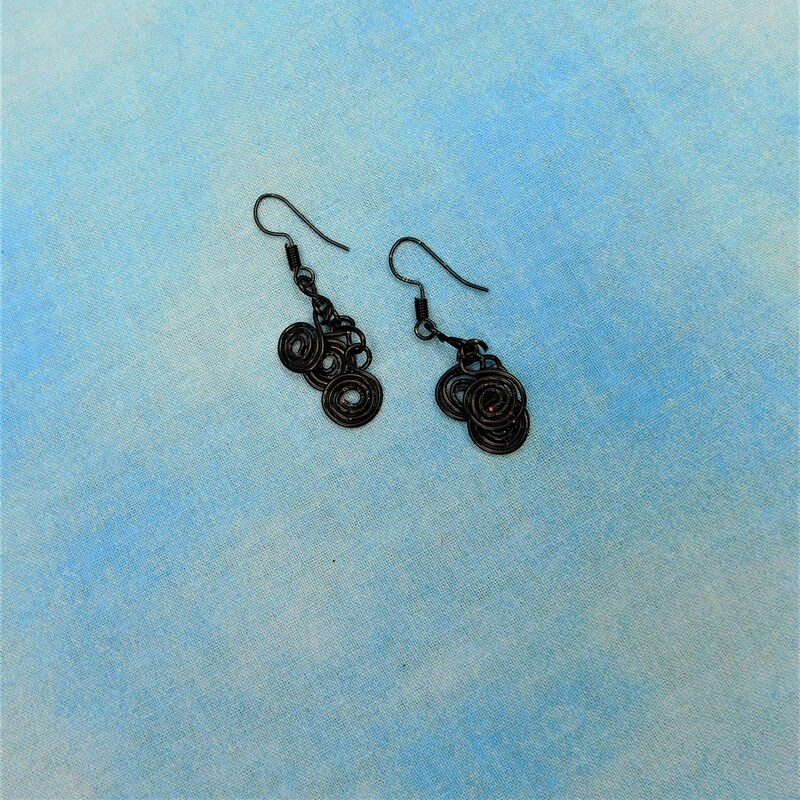 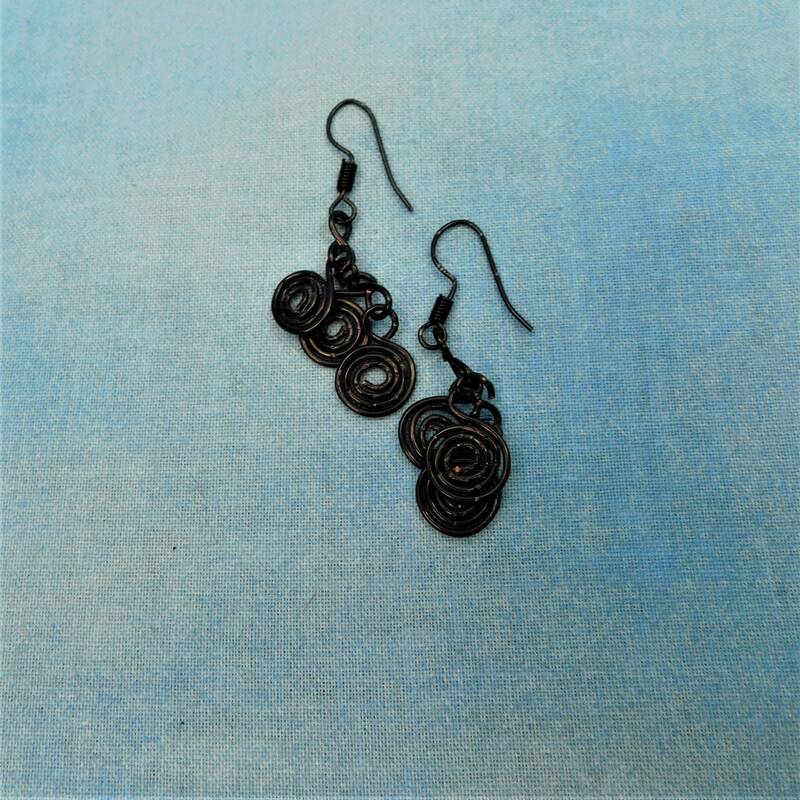 1/2 inch swirls of non tarnish black colored copper wire are suspended in a cascade from black nickel free ear wires. 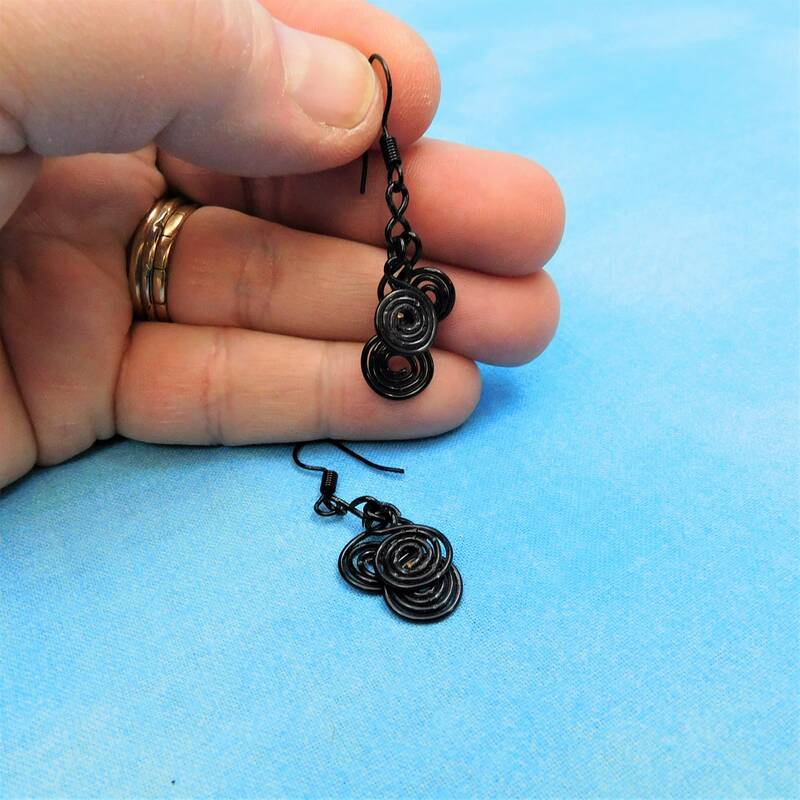 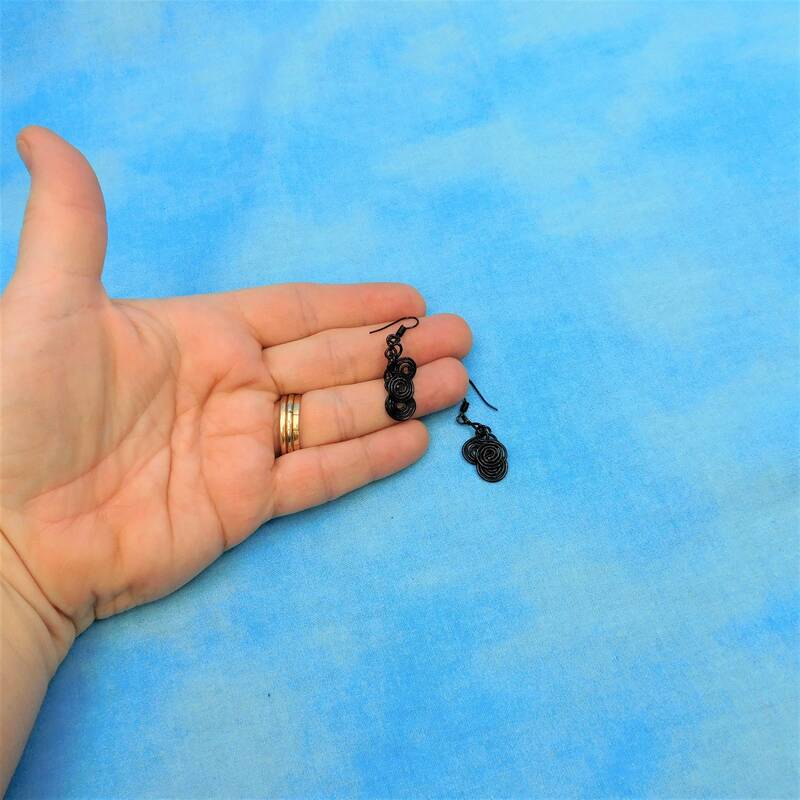 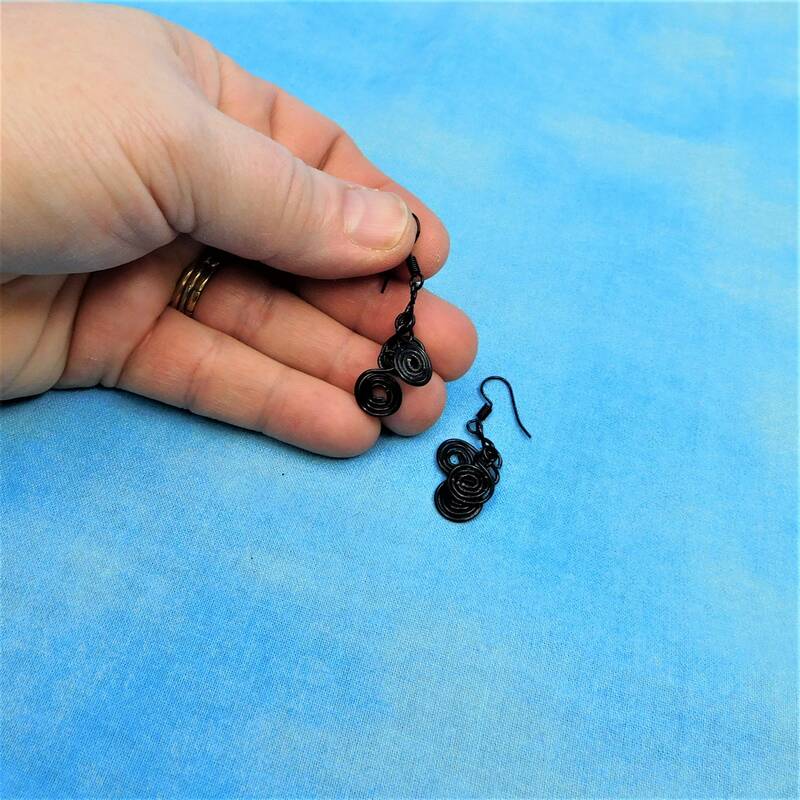 These artisan crafted earrings were created by hand, using only pliers. 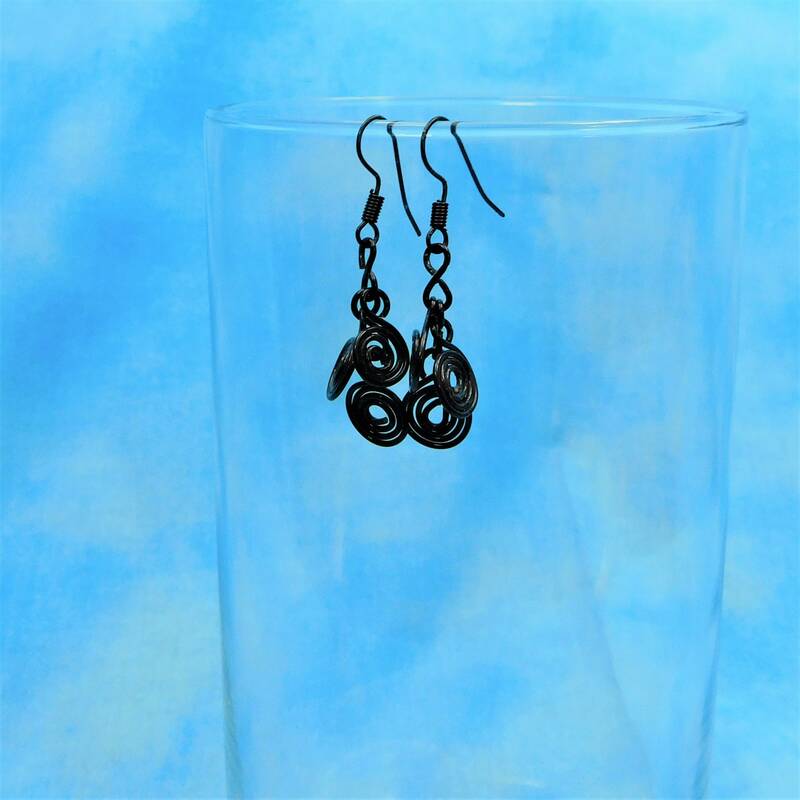 They are as fun to wear as they are to look at, and can be worn with any style of clothing, from fun, to fancy, to fine.